Social media technology is infamous for being just one step ahead of the competition when it comes to marketing. There always seems to be a new tool or strategy to try, a new direction for agencies to go in. 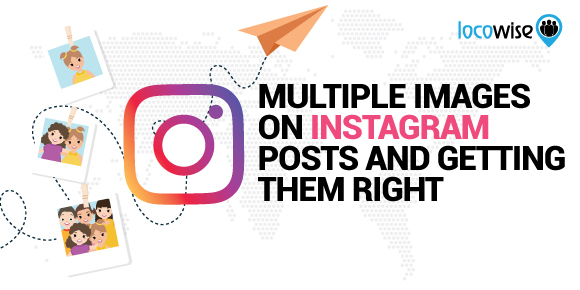 Instagram is no different, and with a new addition to its already attractive feature set, there are even more opportunities to derive benefits from a strong, confident strategy on the platform. The huge and growing brand recently unveiled its latest pet project, with multiple images or videos now allowed as a presentation tool on the platform. Not everyone is using them yet, and if they are, we’re reasonably confident that they aren’t using them to the best advantage. With the new feature, Instagram has opened up the customisation aspect considerably. You can combine videos with a number of photos all at the same time, so that you present with a more attractive output, or even one that is more useful and engaging. But how can brands and agencies get the very most out of the new feature, and make it a useful aspect of their content marketing? You will no doubt be aware that tutorials are always popular. Whether you’re selling a product or a service, some aspect of your offering will benefit from having a tutorial delivered by Instagram. So if there are five steps to getting your widget setup, you can use imagery and video for each of these steps, all at the same time. This means you are making things easier for your audience, and showing plenty of the product’s selling points. It works because it’s visual. Setting out the process for using your product, for example, can really help an audience feel both confident and assured that the product is worth buying. With Instagram, that can all be facilitated. Just divide the process (turning it on, for example) up into a number of steps and ensure you have video or images to keep it accessible and fun to see. With the multiple image options now fully rolled out, this is an attractive option for brands, especially if they are selling physical product. If you have an event coming up, the multiple images feature allows a real sense of excitement to be created. Take the ‘best bits’ from an event and ensure that your audience gets a real feel for what it was like. Perhaps a video of a presentation can be surrounded by photos of your people just having fun. Not everyone will get to one of your events, so creating a montage of the event and the people that were there can only mean that you gain engagement. Events are also prime examples of the multiple image concept because there is so much going on. This, if we’re honest, is the most exciting tactic you can use on the new multiple images posts. In fact, it’s a rather neat way of showcasing products. Kind of like a presentation, but more compact and efficient. People on the Web are visual more than anything else. And when it comes to those people surfing the Internet for products they are interested in, there’s a reason why Youtube has been such a success. It is all about showing people a process. And if you are able to create an Instagram presentation with multiple images, showing how your product is created, it is a huge win. Your audience likes stories, and having the story of a product that shows how it’s made and what goes into it is a great way to get them engaged. The same goes for services too. One way of doing the same thing with less tangible product is to show a ‘day in the life’ or the process that goes into advertising or marketing. You can even show the decision making that is involved in a major product launch for example. Placing video with multiple images is very powerful, and it helps to bring your offering alive. If you’re looking to find a way to bring in engagement there is always the option of asking your fans to do so. Content that your audience has created (including reviews of your offering) is extremely useful for your brand. It shows that you have legitimacy, and that people enjoy talking about what you sell. Use the multi-image option to create a strong, attractive set of reviews of your product or service, with images of the people you’re taking the reviews from. Or to push it in a new direction, ask your audience to come up with their own comments about your latest event, and publish these as multi image posts. The scope here is huge, and it always works out well for brands if they use this kind of content. It is social proof that your brand is appreciated, trusted and can be relied upon. As with all ‘new ways’ of doing things on social media, you are going to have to focus on ensuring that your testing is robust. This kind of social media work will get results, but it will only really bear fruit if you spend time testing the responses, and weighing them against the work that goes into them. It may only work well if you create a certain kind of post, like a product instructional post. Or it may not work with certain segments of your audience. The key, as always with social media, is to test. Use your metrics and make sure that you know what is going on. It’s an extra technique that your brand can use to boost engagement. And we think that with the right creatives, and robust testing and measuring, it could easily become a useful part of any brand’s presence. 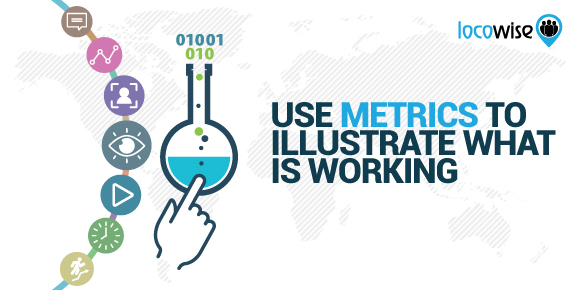 Fancy some of the best metrics available today? Want silky smooth reporting for your clients? Look no further. Try Locowise free. There’s a reason so many agencies are coming on board with us.